George P. Bush, a GOP candidate for land commissioner, said Wednesday that he hoped Texas Republicans in leadership positions would denounce "ignorant statements" regarding Hispanics, even if they're made by fellow Republicans. 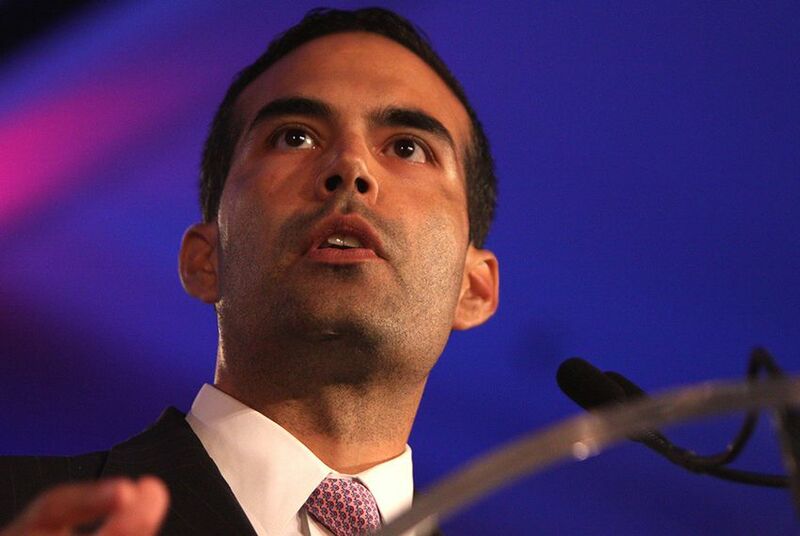 CORPUS CHRISTI — George P. Bush, a Republican candidate for land commissioner, said Wednesday he hoped Texas Republicans in leadership positions would take a stand against "ignorant statements" regarding Hispanics, even if they're made by fellow Republicans. “If we're going to be successful and be considered credible in the Hispanic community, we’ve got to denounce some of the ignorant statements that are made about Hispanics and the contributions we make, whether it’s to the military, our nation’s economy or to the history of Texas,” Bush told The Texas Tribune during a campaign stop. “I just think that it’s disappointing that people resort to those types of tactics,” Bush said. Bush faces East Texas businessman David Watts in the March 4 GOP primary for land commissioner. The winner will face John Cook, a Democrat and a former mayor of El Paso, and Steven Childs, a Libertarian, in the November general election. In Corpus Christi on Wednesday as part of a bus tour, Bush gave a keynote address at a GOP outreach event targeted at Hispanic voters, highlighting the importance of Hispanic inclusivity in the Republican party. “For me and my family, it’s not Hispanic outreach. It’s Hispanic inclusion,” said Bush, whose mother was born in Mexico. The co-founder of the Hispanic Republicans of Texas political action committee added that GOP candidates must reach out to the Hispanic community before and after elections. In his keynote, Bush also focused on education and said there was a need to reform a "structural crisis that exists" in the state's public education system, which has failed generations of Hispanics. "Sometimes political correctness runs amok in our public education system where we think that every kid can go to a four-year university," Bush said, adding that the state should ease the pipeline for students with vocational or technical training looking to fill jobs in science and engineering fields. Bush, the Tarrant County chairman for the Uplift Education public charter network, also proposed raising standards in public education and giving parents and students a more choices between public schools and charter schools. When it comes to the debate over cuts to public education funding, Bush deferred to the courts to determine whether education is sufficiently funded in Texas. A coalition of more than 150 school districts filed a lawsuit against the state as a result of the cuts, claiming the state's school finance system and the Legislature's cuts violated the Texas Constitution, which mandates that schools be funded appropriately. The trial is set to continue this month. "We'll see what the verdict or the judgment says, and at that point the Legislature will have to reassess how that's going to be constructed moving forward," Bush said.